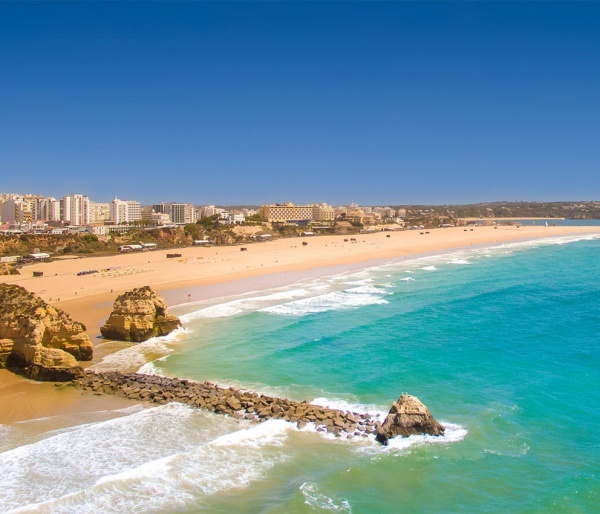 Praia da Rocha (https://goo.gl/maps/RRAuRQF95xo) is a wonderful seaside town, with many choices in what to see and do. The nature is incredible, as are the beaches. Besides excellent field conditions, there are plenty of restaurants, cafés, shops, and incredible nature walks within minutes on foot. Plenty more is within driving distance, for those that would like to explore the countryside throughout the week. We hope that our guests love every minute of this event – even when they are not playing. All games for the EBUC2019 will take place on the large sand area of Praia da Rocha. It is worth exploring this beautiful coastline and its surroundings, with incredible views bathed in light. Local food is excellent, with particularly fantastic seafood.